Senior Sales Director – South Asia MEASAT Satellite Systems Sdn. Bhd. Senior Advisor in the GMR Group. Ex-MD & CEO of Janalakshmi Financial Services Ltd. Currently based in Bangalore, Radha is a seasoned veteran of the financial services industry. He has worked with a large multinational bank as well as with a private sector bank and an NBFC microfinance institution (MFI). In 2017, he retired as MD & CEO of Janalakshmi Financial Services (JFS) which is India’s largest MFI. Radha was jointly responsible for growing this startup MFI to India’s largest MFI. When he left JFS, the company had over 5 million customers, employed 15,000 people, and had nearly 500 distribution points. Prior to joining JFS, Radha was with ING Vysya Bank. During his stint there, he held positions such as Regional CEO (West) and All India Head SME and Regional CEO South India excluding Andhra Pradesh. 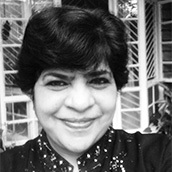 Radha worked with HSBC for 25 years in different functions in various locations in India and Hong Kong. His last position there was Senior Manager Western India which covered 50% of HSBC India's balance sheet. 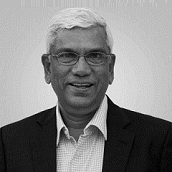 He worked in the finance departments of Forbes Forbes Campbell & Co Ltd and Jay Engineering Works Ltd.
Radha was Chairman of AKMI, an industry body based in Karnataka and Vice President of MFIN, a National level body representing MFIs. He has participated in various seminars and panels. Radha graduated with an MBA from the Indian Institute of Management, Ahmedabad. He is a Chartered Associate of Indian Institute of Bankers. 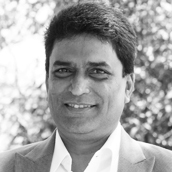 Currently based in Gurgaon, Haryana, Amit is an accomplished, passionate business leader with more than 25 years of strategic & operational general management experience with 2 leading global Fortune 500 Corporations- Sara Lee Corporation & Reckitt & Colman (Reckitt Benckiser) in senior leadership roles across Asia including India, China & Indonesia. He is a decisive & result oriented team leader with highly effective skills in Business Development, Marketing Strategy (development & execution), M&A/JVs structuring & establishment and can instrument growth & change. 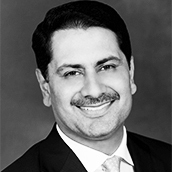 In a successful 12 year career with the Household & Bodycare business of Sara Lee Corporation, Amit was responsible, as CEO of the business in Indonesia, delivering double-digit sales revenue growth, increasing market shares of the Key Power Brands and generating negative working capital utilization/cash flows by restructuring the supply chain and strong embedding of the SNOP Process. He also had additional responsibility of India for a while re-launching & developing Kiwi & Brylcreem. As President of Greater China, directed and accomplished a unique financial turnaround and breakeven of a complex business (3 JVs in 3 manufacturing locations, 800 people) in record time with skilful Project Management, Leadership and meticulous execution. As the Regional Vice President of Marketing in Asia, he was responsible of the rapid rollout of Ambipur Air Fresheners and embedded a strong innovation process that improved the speed to market of innovations and led to faster & higher growth of the key brands. As the Regional Marketing Director of Reckitt & Colman India/South Asia, he successfully led a 2 times market average growth of the Indian business (+25%) with aggressive innovation, motivating teamwork and powerful innovation leading to brands delivering 30%+ sales from new products. Having worked in 5 countries, in regional & country roles, he is adept at managing cross cultural teams in global/matrix/local. 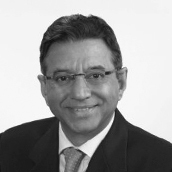 Amit has served as a Director in the Boards of private and listed companies in India, China, Singapore & Indonesia. He was successful and highly reputed & competent in establishing & managing relationships with joint venture partners. He is an extrovert and was an active member of the debating & sports teams at school & university. He is an active Rotarian and likes to engage with the community. He was a member of the Sara Lee Global jury that judged the Corporate Social Responsibility PP Program, judged advertising awards and was a member of the American Chamber of Commerce. Amit graduated from the University of Bombay with a Bachelor of Arts (Economics) and then also completed his MBA in Marketing from the same university. In 2004, he was nominated by Sara Lee to attend and complete the Advanced Management Program in Harvard Business School. His clients included an American companies whom he advised and supported in them launching a natural sweetener, other international/global companies developing business & marketing /brand strategy & plans to enter Asia –organic and M&A. 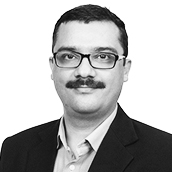 Amit has since May 2015 been an Advisor to KV Asia Capital & PLR Consulting India, and other Private Equity firms on Strategy Development and identifying & closing Deals in ASEAN. He was also on an Advisory Board Member of Global Consumer Products Limited, India (a JV with Goldman Sachs & Mitsui). He has excellent contacts & relationships across Asia. Experience: Over 40 years of experience in the fields of Strategic Planning, Financial Management, Mergers and Acquisition, Management Consultancy, Factory Management and guidance to start-up companies. Currently based in Bengaluru Alladi is an accomplished professional with over 40 years of experience. Other than India, Alladi has worked in South East Asia and United States of America. The sectors covered were Electronics, Telecommunications, Pharmaceuticals, Plantations, Agriculture Produce, Real Estate, Theme Parks, Steel Pipes, Entertainment and Broadcasting. He has assisted start-up companies in the field of Food Processing, Health Care, Home Security Systems and Computer Assisted Language Learning using Artificial Intelligence. Some of the senior positions held include: Management Consultant at PriceWaterhouse Coopers India, Finance Director at GlaxoSmithKline-Indonesia, M&A Advisor Unilever Indonesia, Financial Controller at Marathon Land USA, Development Engineer at Hindustan Brown Boveri, Consultant at Decision Systems Corporation, Philippines. 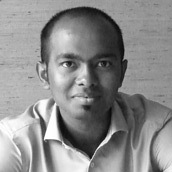 Alladi holds a BSc from Madras University, Electronics Engineering from Madras Institute of Technology, Post Graduate Diploma in Computer Management from Bombay University and an MBA from Asian Institute of Management Philippines. Currently based in Bangalore, Nagendra Venkaswamy (Venky) is a professional with more than 30 years’ experience in the IT/Telecom/Engineering industry. A graduate of BITS, Pilani and IIM-Bangalore, he has held senior positions in the industry and has served as CEO and Independent Director on the Board of various companies in India and abroad. With strong operations management experience he has led sales distribution, channel management, services, logistics and finance, manufacturing across a range of companies and product categories. He is a regular speaker at industry forums and institutes such as IIMs. He was previously Managing Director, Juniper Networks India (Rev $80Mn), one of the leading networking companies in the world. He built, from ground-up, a nation-wide distribution and channel network covering the 5 metros and over 35 tier 2 cities in India .He also grew the India development centre from 600 people to about 1300 people. He headed Dimension Data (an NTT company), as Managing Director. DiData (Rev $90Mn) is one of India’s largest systems integration companies with every major enterprise in India as its customer. Venky was President of Tejas Networks Ltd (Rev $140Mn), one of the world’s leaders in Optical Transmission equipment for the telecommunications industry. Tejas has some of the world’s largest telecom operators as its customers including Bharti Airtel, BSNL, Globe Telecom (Philippines), Neotel South Africa etc. Venky was the Managing Director and Member of the Board of PSI Data Systems Ltd (the 51% subsidiary of Groupe Bull, France) one of India’s leading software services firms. 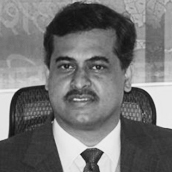 He led the sale and merger of PSI-Bull into the Aditya Birla Group. He has held VP and General Manager positions in Digital Equipment Corporation and IBM also. He has wide experience in sales operations, organization building, cost management, growth strategies and M&A and brings extensive knowledge of business across industries. Prior Companies: Levers Group, RPG, TNT Express, Alcatel Business Systems, United India Insurance. 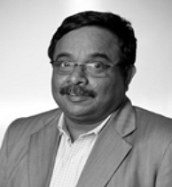 R. Ram Mohan is currently working as Senior Advisor in the GMR Group. He has been associated with the Group for over 20 years now and continues in the role of an Advisor. During his tenure with the Group, he has worked in several functions and was involved in the setting up of many projects, including the unique 220 MW Barge Mounted Power Plant. In addition to Finance and Governance, his core areas of specialisation have been strategy, planning and risk management. His forte also includes commercial contracts and structuring of investments. He was also part of the overseas operations of the Group. He has worked on the Boards of several of the Group Companies, Associate and External Companies. Prior to his association with the GMR Group, Ram Mohan worked with many multinational and large Indian Groups. The notable among them being the Levers group, RPG, TNT Express, Alcatel Business Systems etc. He has also worked in the public sector Insurance Company, United India Insurance. His total work experience is over 40 years. Ram Mohan has a B.Sc in Chemistry from the Madras University. He is a qualified Chartered Accountant and has also done his full time MBA Course (PGDM) from the Indian Institute of Management, Calcutta. A first-generation serial entrepreneur, Surya has the distinction of spotting opportunities where not many would look for. Surya began his career working for companies like Union Carbide and Nicholas Laboratories but began his entrepreneurial stints with a pharmaceutical company called Recon in 1988, where he helped the company grow aggressively, taking it to the top 100 and successfully took them through an IPO with a large premium and prepared the company to face the post patent era and successfully created an exit strategy. He then created an IT- enabled health services company called Medybiz in 2000 before selling it of along with Medi Assist, a third-party administrator to the Reliance ADAG. He then went on to create a modern chain of pharmacies (LIFEKEN) which was to be later acquired by Religare in 2008. Using all his experience Surya had helped infuse a paradigm change at the N S Raghavan Centre for Entrepreneurial Learning at IIM Bangalore that includes a business incubator and a seed fund between 2009 and 2011. He now assists as a pro bono mentor at the centre. He then spent 3 years as CFO of Indian Institute for Human Settlements (IIHS) till 31 st July 2014. Surya is a passionate start-up evangelist and dabbles in angel investing. He is a fellow member of the Institute of Chartered Accountants of India and has a Masters in Management from McGill University, Canada. Surya now mentors start up entrepreneurs on their entrepreneurial journey as a freelancer. Surya is also on the governing board of TiE Bangalore. He was jury member in the recently held Elevate 100, a competition by Karnataka government to pick the top innovative start-ups in Karnataka for assistance and support. Currently based in Gurgaon, Haryana, Amit is an accomplished, passionate business leader with more than 25 years of strategic & operational General Management experience with 2 Leading Global Fortune 500 Corporations- Sara Lee Corporation & Reckitt & Colman(Reckitt Benckiser) in Senior Leadership Roles across Asia including India, China & Indonesia. Decisive & result oriented team leader with highly effective skills in Business Development, Marketing Strategy (development & execution), M&A/JVs structuring & establishment & and can Instrument Growth & Change.. 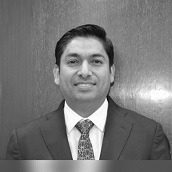 In a successful 12 year Career with the Household & Bodycare business of Sara Lee Corporation, Amit was responsible, as CEO of the business in Indonesia, delivering double-digit sales revenue growth, increasing market shares of the Key Power Brands and generating negative working capital utilization/cash flows by restructuring the Supply Chain and strong embedding of the SNOP Process. He also had additional responsibility of India for a while- relaunching & developing Kiwi & Brylcreem. As President of Greater China, directed and accomplished a unique financial turnaround and breakeven of a complex business (3 JVs in 3 Manufacturing Locations, 800 people) in record time with skillful Project Management, Leadership and meticulous Execution. As the Regional Vice President of Marketing in Asia, he was responsible of the rapid Rollout of Ambipur Air Fresheners and embedded a strong Innovation process that improved the speed to market of Innovations and led to faster & higher growth of the Key Brands. As the Regional Marketing Director of Reckitt & Colman India/South Asia, he successfully led a 2 times Market Average Growth of the Indian Business (+25%) with aggressive innovation, motivating teamwork and Powerful innovation leading to Brands delivering 30%+ Sales from New Products. Having worked in 5 Countries, in Regional & Country Roles, he is adept at managing Cross Cultural Teams in Global/Matrix/Local. 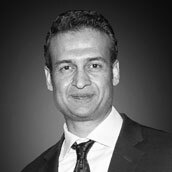 Amit has served as a Director in the Boards of Private & Listed Companies in India, China, Singapore & Indonesia. He was successful and highly reputed & competent in establishing & managing relationships with Joint Venture partners. He is an extrovert and was an active member of the Debating & Sports Teams at School & University. He is an active Rotarian and likes to engage with the Community. He was a Member of the Sara Lee Global Jury that judged the Corporate Social Responsibility PP Program, Judged Advertising Awards and was a member of the American Chamber of Commerce. Amit graduated from the University of Bombay with a Bachelor of Arts (Economics) and then also completed his MBA in Marketing from the same University. In 2004, he was nominated by Sara Lee to attend and complete the Advanced Management Program in Harvard Business School. 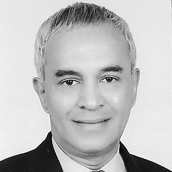 His Clients included an American Companies whom he advised and supported in them launching a Natural Sweetener, other International/Global Companies developing Business & Marketing /Brand Strategy & plans to enter Asia –organic and M&A .Amit has since May 2015 been an Advisor to KV Asia Capital & PLR Consulting India , and other Private equity Firms on Strategy Development and identifying & closing Deals in ASEAN .He was also on an Advisory Board Member of Global Consumer Products Limited, India (a JV with Goldman Sachs & Mitsui).He has excellent Contacts & relationships across Asia. Some of the senior positions held include: Management Consultant at PriceWaterhouse Coopers India, Finance Director at Glaxo SmithKline Indonesia, M&A Advisor Unilever Indonesia, Financial Controller at Marathon Land USA, Development Engineer at Hindustan Brown Boveri, Consultant at Decision Systems Corporation, Philippines. Currently based in Bangalore, Nagendra Venkaswamy (Venky) is a professional with more than 30 years experience in the IT/Telecom/Engineering industry. A graduate of BITS, Pilani and IIM, Bangalore , he has held senior positions in the industry and has served as CEO and Independent Director on the Board of various companies in India and abroad.With strong operations management experience he has led sales distribution, channel management,services, logistics and finance, manufacturing across a range of companies and product categories. He is a regular speaker at industry forums and institutes such as IIMs. He was previously Managing Director, Juniper Networks India (Rev $80Mn),one of the leading networking companies in the world. He built, from ground-up , a nation-wide distribution and channel network covering the 5 metros and over 35 tier2 cities in India .He also grew the India development centre from 600 people to about 1300 people. He headed Dimension Data, (an NTT company) , as Managing Director. DiData (Rev $90Mn) is one of India’s largest systems integration companies with every major enterprise in India as its customer. Venky was President of Tejas Networks Ltd (Rev $140Mn), one of the world’s leaders in Optical Transmission equipment for the telecommunications industry. Tejas has some of the world’s largest telecom operators as its customers including Bharti Airtel,BSNL, Globe Telecom (Phillipines), Neotel South Africa etc. Venky was the Managing Director and Member of the Board of PSI Data Systems Ltd (the 51% subsidiary of Groupe Bull, France) one of India’s leading software services firms.He led the sale and merger of PSI-Bull into the Aditya Birla Group. He has held VP and General Manager positions in Digital Equipment Corporation and IBM also. 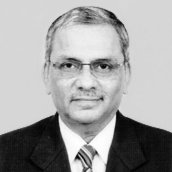 R. Ram Mohan, 64 years, is currently working as Senior Advisor in the GMR Group. He has been associated with the Group for over 20 years now and continues in the role of an Advisor. During his tenure with the Group, he has worked in several functions and was involved in the setting up of many projects, including the unique 220 MW Barge Mounted Power Plant. In addition to Finance and Governance, his core areas of specialisation have been strategy, planning and risk management. His forte also includes commercial contracts and structuring of investments. He was also part of the overseas operations of the Group. He has worked on the Boards of several of the Group Companies, Associate and External Companies. Ram Mohan, born in 1953, his basic qualification is B. Sc in Chemistry from the Madras University. He is a qualified Chartered Accountant and has also done his full time MBA Course (PGDM) from the Indian Institute of Management, Calcutta. A first-generation serial entrepreneur, Surya has the distinction of spotting opportunities where not many would look for. Surya began his career working for companies like Union Carbide and Nicholas Laboratories but began his entrepreneurial stints with a pharmaceutical company called Recon in 1988, where he helped the company grow aggressively, taking it to the top 100 and successfully took them through an IPO with a large premium and prepared the company to face the post patent era and successfully created an exit strategy. He then created an IT-enabled health services company called Medybiz in 2000 before selling it of along with Medi Assist, a third-party administrator to the Reliance ADAG. He then went on to create a modern chain of pharmacies(LIFEKEN) which was to be later acquired by Religare in 2008. Using all his experience Surya had helped infuse a paradigm change at the N S Raghavan Centre for Entrepreneurial Learning at IIM Bangalore that includes a business incubator and a seed fund between 2009 and 2011. He now assists as a pro bono mentor at the centre. He then spent 3 years as CFO of Indian Institute for Human Settlements (IIHS) till 31 st July,2014 Surya is a passionate start-up evangelist and dabbles in angel investing. Surya is a fellow member of the Institute of Chartered Accountants of India and a Masters in Management from McGill University, Canada. Surya now mentors start up entrepreneurs on their entrepreneurial journey as a freelancer. Surya is also on the governing board of TiE Bangalore. Currently based in Bangalore, Sharad is an independent consultant, advising global companies to set up business in APAC and Europe. He supports Startups and is also the Director on Board of Cognitive Scale India Pvt. Ltd. Prior to this, he managed the Global Operations and Business Development in the APAC region leading a team of over 240 people in Cenduit Services Pvt. 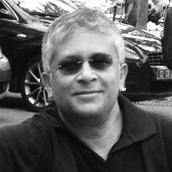 Ltd. Sharad started Amex Information Technologies Ltd. - A software company with a focus on Europe. He built and established the company with over 100 employees. The company was listed on Bombay Stock Exchange through an IPO (which was oversubscribed) in July 1999. He opened and managed offices in the UK and Germany. 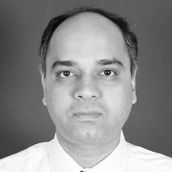 Sharad was Managing Director, India, Webify Solutions. Here he managed the offshore software development with a team of over 70.IBM went on to acquire Webify Solutions and he led the integration team in India after the acquisition. He ensured a successful merger of the Operations with IBM India. Sharad holds B.Sc, MA, PGDMS, Science, Philosophy, and Sales & Marketing degrees from Government College, Ajmer and Bhartiya Vidya Bhawan..
Based in New Delhi, Atul Chand is an accomplished professional and a formidable business-builder in the FMCG, Fashion & Lifestyle and Retail Industry. 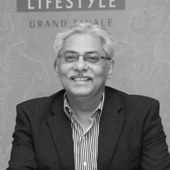 Atul was with ITC Ltd for nearly 30 years, part of the Senior Leadership team with his last assignment as the Chief Executive of ITC’s Lifestyle Retailing Business. He has rich experience in building Consumer Brands, creating and managing Sales & Distribution and Retail Networks, pioneering Trade Marketing and leading Business Strategy. The diversity of exposure developed the capability of adapting to new environments, inspiring teams, leveraging market opportunities and addressing challenges. Passionate about institutionalizing brand led, process driven, sustainable & profitable growth with defined milestone future. Under his stewardship, the business & brands received recognition and were acknowledged as path breaking and setting new benchmarks. An Economics graduate from Delhi University, he holds an MBA from Institute of Management Technology, Ghaziabad and actively participates at various Industry Forums and Management Institutes. With several noteworthy achievements to his credit, he was conferred the ‘Distinguished Alumini’ Award by IMT. 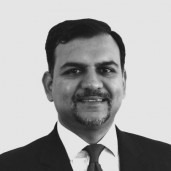 Currently examining new frontiers and experiencing different tracks ….as Business Consultant, Strategic Advisor and Angel Investor …partnering the growth story of the Indian Start-ups..
Mohit Shukla is Head of Legal & Compliance for Barclays India. In this role, he is responsible for the general oversight of legal and compliance services to all the Indian businesses and Barclays entities, and for general legal and compliance risk management in India. Prior to joining Barclays in 2010, he was with Citibank for nine years as Citi’s Country General Counsel for South Asia, covering India, Bangladesh, Sri Lanka and Nepal for all of Citi’s commercial businesses and its right-shoring and technology support arms. He has over 20 years of work experience with a diverse background, including the metals manufacturing, tobacco and hospitality industries, prior to financial services (first with the ANZ Group). Mohit has a degree in law from the University of Calcutta, and has a keen interest in theatre, having designed sets for, directed, and acted in, plays on the proscenium stage, and in Indian classical music which he continues to study. In his current role, Prashant is responsible for building and supporting MEASAT’s customer base and managing government agencies across the South Asian region. 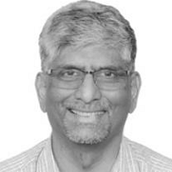 Prior to joining MEASAT, Prashant was a Senior Analyst in a leading satellite industry research company and Regional Head for a multinational telecommunications services company. He has 12 years of experience in the satellite and telecommunications industry. Prashant holds a Master of Sciences in Satellite Communications Engineering from the University Of Surrey, United Kingdom and a Degree in Engineering from the University of Mumbai, India. Currently based in Bangalore, Salil is a Seasoned Professional with experience of over 30 years in P&L management and results delivery, dominantly in the plantation sector in India and abroad. He has knowledge of the principles behind value chain and managed the processes around the same from raw material sourcing to marketing and selling. His areas of strengths are in working with people, planning and execution to meet targeted results. He has managed Tea, Coffee, Pepper, Marketing and Power Plants Operations with P&L responsibility for different business verticals with Turnover of over Rs. 100 Crores. Salil has been involved in start-ups, managed a turnaround and also sold a business. He is experienced in labour union negotiations and management. Salil holds Bachelor of Arts in Economics from Madras Christian College. Currently based in Bangalore, Abhijit is a mobile and digital entrepreneur, passionate about building technology products and scaling up companies. He is currently working on his next startup. He is well entrenched in the startup space and been an advisor to multiple startups, incubators and several other companies big and small. Abhijit has proven ability to identify and create new opportunities and markets, launch new products, generate and scale revenues and strike high value partnership deals. 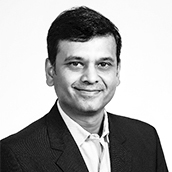 Abhijit also brings an in-depth knowledge of the mobile ecosystem in India and international markets - commerce, advertising, user centric product design, IoT, user acquisition, analytics, payments and industry connections with operators, OEMs and publishers. Abhijit has over 14 years of experience working with startups as well as Fortune 500 companies in US and India - namely Motorola, Accenture, Fannie Mae, GoldPocket Wireless (Acquired by Motricity), Mobile2Win (Acquired by Altruist). More recently, in 2008, he founded Synqua Games - a 45 member award winning mobile and social gaming studio which garnered over 50 million downloads and few of the titles were the #1 played mobile game in India. He exited Synqua Games last year after running it profitably for 6 years. He holds an MBA from Mason School of Business, William & Mary, Virginia and Bachelors from St. Xaviers College, Mumbai. Currently based in Kochi, is a seasoned banker with over three decades of experience, most of it in the Middle East and Asia. He started his career in 1977 as a Management Trainee with HSBC India and worked with them till 1991. 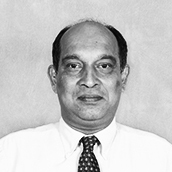 He pioneered the computerization of the bank's branches in the 80's, the first bank to do so in India, with all its attendant challenges. In his over two decades on international assignments, he has held several senior management positions including Deputy Country Manager of ABN Amro Bank, UAE with additional oversight for Oman, Qatar and Iran, Country Manager for ABN Amro Bank, Sri Lanka and Trade Sales Head for Asia Pacific, Middle East and Africa for ABN Amro Bank / Royal Bank of Scotland - He was based in Singapore from 2001- May 2011. In May 2011, he took up the role of Executive Director of the Federal Bank Ltd. looking after wholesale, Sme, retail, agriculture and financial inclusion. The bank has become a national bank with 1300 branches and over 11000 employees. Mr. Chacko is a postgraduate in Business Management from XLRI Jamshedpur. He was a regular voice on television and a panelist and speaker at numerous conferences on matters of banking and finance in India and abroad. Currently based in Hyderabad, he has about 15 years of experience in both corporates and start-ups. 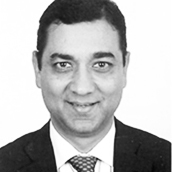 He has an MBA from Indian School of Business (ISB) and Master of Science degree from University of Arizona (USA). He has a keen interest in the start-up space – playing the role of an angel-investor, mentor and coach for start-ups. He is the founding partner of Xseed Consulting, an investment and advisory firm for start-ups. Presently, he is the Director-Investor Liaison at T-Hub – helping start-ups to grow through market access, investment, and advice. Before this he led the efforts at GEMS Intelligence Unit - a consulting arm of GEMS, a 5-billion-dollar education company. Prior to this he was the Chief Innovation Officer at Gray Matters India – an educational start-up for assessments in the K12 space. In his role as founding member, he was involved in strategy, product development, key customer relationships and fund-raising. Prior to this, he worked with Educational Initiatives (EI) as the Associate Vice-President. At EI, he was in charge of Mindspark, an online adaptive Maths learning tool. Before his MBA, he worked in the semiconductor industry in areas of product development and quality control. Ekta Sheth-Balyan draws upon considerable expertise in public relations, marketing and strategic partnerships in the FMCG, Lifestyle, Luxury and Consumer Durables industry. In a span of 18 years she has worked with some of the largest agencies in the country handling several cornerstone clients, including The Collective, Nike, Marico, Kellogg’s, Pernod Ricard, Group, Wipro Consumer Care, Diageo, CK, FCUK, DTC, Nirvana Jewellery, UB Group, Jack & Jones, Godrej Industries, Taj Hotels, Vero Moda, amongst others. She has been, responsible for strategic direction, day-to-day media relations management and the development of dedicated initiatives to build awareness around specific offerings. Ekta holds a Master’s Degree in Business Economics from Victoria University, Melbourne. Currently based in Hyderabad, has over 35 years of experience in the areas of Finance, Accounts and Commercial operations. He has handled project viability appraisals, designed internal control systems and procedures, and various MIS to facilitate effective decision making. He spent the formative years of his career with A.F. Ferguson & Company (now part of Deloitte), and a stint with Borosil Glass Works Ltd, Mumbai (subsidiary of Corning, USA). In his 25 years with the Nagarjuna group in Hyderabad, he has held many senior management positions and has guided the group’s financial and risk management, legal and compliance functions and has led number of strategic initiatives. He is currently Vice President – Treasury of an agrochemical company. He is a B.Com graduate and is a member of the Institute of Chartered Accountants of India. Currently based in Mumbai, Akash is a successful entrepreneur with over 14 years of experience in areas such as business analysis, analytics, and product management. Akash is currently the co-founder and CEO of Infinite Analytics (www.infiniteanalytics.com), the most advanced predictive analytics company today. 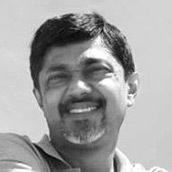 He is also the co-founder of India's first and largest ticketing company, Kyazoonga (www.kyazoonga.com). Prior to Kyazoonga, he has worked as an engineer with Oracle/PeopleSoft in Silicon Valley. Akash has completed his B.E from College of Engineering, Pune, M.S. from University of Cincinnati and an MBA from MIT Sloan. Alok Bhargava is currently an Independent Management Consultant with 30+ years of experience across Private Equity, Project Development, Project financing, Financial Structuring and Business Development. He also serves on the Board of Directors of various IL & FS Group Companies such as IL&FS Environmental Infrastructure and Services Limited, IL&FS Technologies Limited, ISSL Market Services Limited, IL&FS Renewable Energy Limited and many more. He has been associated with organizations and businesses at the conceptualization, incorporation, startup and operational stages, with related man management and business development exposure. He has extensive experience in day-to-day operational, planning and strategic roles over the years, including the last 17 years at the leadership – ED/CEO levels. Mr. Bhargava has held several senior management positions at IL&FS. He is currently the CEO of the Nalanda Foundation (IL&FS), before which he was the CEO of Social Inclusion Group (IL&FS), the mandate of which is to conceptualize and implement socio economic development projects with primary focus on livelihood and income enhancement, skill training, education and healthcare. Previously, he was the Executive Director of IL&FS Investment Managers Limited, where he played an active role in managing and supporting Private Equity Investments in Infrastructure Projects. Before that, he had been the Executive Director and COO at IL&FS Education & Technology Services Limited. Experience: 30 years in Human Resources. Anita P Belani is a seasoned professional with 30 years of rich post MBA experience as a senior business & human capital leader. She is currently the Chief People Office of Gaja Capital and is an independent director on the board of Eternis Fine Chemicals, SportzVillage Pvt. Ltd & Eurokids International. 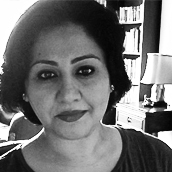 She has previously held the independent director positions on the boards of Wanbury Ltd and Laxmi Organic Chemicals Ltd.
Anita is an ICF Accredited Executive Coach and has 15 years of coaching experience under her belt having coached several C-suite level executives across various sectors. She also specializes in on boarding coaching to help CEO/CXO level leaders adapt to new roles, cultures & environments. Prior to joining Gaja Capital, Anita was a Partner with BMR Advisors. In her previous role as Managing Director India for Russell Reynolds Associates, she specialized in assignments across sectors, leveraging her extensive human capital and consulting background to provide strategic leadership solutions for her clients. She was also responsible for CEO / Board advisory assignments and specialized in the Private Equity / Venture Capital area in addition to focusing on diversified industrials. 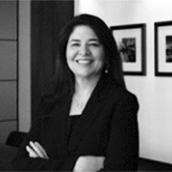 Prior to joining Russell Reynolds Associates, Anita was with Right Management as the Country Head for India. Her areas of expertise included helping clients solve their business issues through human capital solutions in such areas as change management, restructuring, organizational effectiveness, succession planning, leadership development. Coaching and talent management. Prior to joining Right Management, she was Country Head for Watson Wyatt India and was responsible for building a successful consulting brand for the organization. In all these roles she was responsible for P&L management, business strategy & implementation to build successful franchises in India. Anita has previously worked with Sun Microsystems in San Francisco as a Senior HR Business Partner in charge of strategic global HR. Prior to that, she was in a senior business partner role with KPMG in the USA and was instrumental in building the India operations of Jardine Fleming. She has also worked with American Express TRS in the early part of her career. Anita takes keen interest in mentoring startups and is a key member of the Lead Angels network which focuses on investing in early stage companies. She has been on the advisory board of Crederity Inc. and Unitus Seed Fund. Anita did her M.B.A. from XLRI, Jamshedpur and B.A. (Hons) in Economics from Miranda House, University of Delhi. Currently based in Bengaluru, Arun has been a practioner of professional services through his career. He was a partner at PricewaterhouseCoopers Pvt. Ltd.(PwC) for over 10 years before deciding to start on his own in 2018. At PwC, Arun specialised in mergers and acquisitions with a focus on business plans and due diligences, in addition to advising on strategy, fund raise, structuring, negotiations and related M&A activities. Over the years, he has advised many well known and large domestic/foreign companies, private equity funds and has extensive experience in both domestic and international transactions. In about 17 years with PwC, Arun has the experience of working on 500 plus transactions across industry sectors. 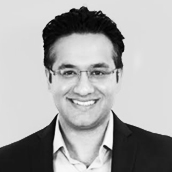 In the last few years at PwC, Arun has worked with several startups, either directly or on behalf of venture capital/private equity funds and often led multi-disciplinary teams advising startups on several aspects ranging from growth strategy, technology, structuring, governance to fund raise. He has deep understanding of how the potential investors evaluate startups and what do they typically expect before and after making the investment. Arun also founded and managed a fashion boutique for a few years before exiting recently. Arun graduated in Commerce and is a Chartered Accountant by qualification. He has also attended leadership programmes at Indian School of Business and INSEAD. Currently based in Mumbai, is a Director and founding partner at Pragmatix Services Private Ltd, an upcoming and rapidly growing enterprise, engaged in Business Intelligence & Analytics, and Advisory / Consulting & Implementation Services across diverse functional areas. Ashish is currently engaged in several assignments, in the Business Strategy, Product Management and Process Consulting space. Until August 2010, Ashish was the EVP and Head of Transaction Services for Kotak Mahindra Bank. In this role, he was responsible for setting up the Transaction Services business for the group. During this stint, he set up the entire infrastructure of the business including the operations & technology platform, a highly motivated sales team and the entire product development function. Prior to joining Kotak, he was a Director at Citibank responsible for all Global Relationship Banking clients in India. He has over 19 years of experience in the banking industry. He holds an MBA from the University of New Mexico. With over 3 decades of rich industry experience, Ashok is a commercially oriented business manager with a track record of shaping HR strategy in growth markets across diverse sectors and driving change in challenging geographies. Over the course of his career he held various senior leadership roles in global companies in India, Dubai, Shanghai and Singapore. During the last 12 years of his career he has been responsible for expanding Stanley Black & Decker’s geographic footprint in Emerging Markets, developing leadership teams and leading several M&A initiatives. After graduating with a Masters in Human Resource Management from XLRI, Jamshedpur, Ashok started his career with the Indian subsidiary of BAT Industries (ITC Limited), followed by stints in American Express & HSBC India. He then relocated to Dubai as Head of HR, Middle East & Africa for Black Decker followed by a subsequent stint with MMI, a subsidiary of Inchcape plc and later Emirates Airlines. 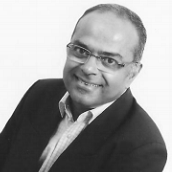 Ashok rejoined Black & Decker in 2005 as Head of HR for Asia Pacific based out of Shanghai, China. He led the HR integration for Black and Decker with Stanley Tools in 2010 and then moved to Singapore as the HR Leader for Emerging Markets. 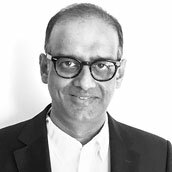 Most recently, Ashok has returned to Dubai effective June 2016 and led the relocation of Stanley Black & Decker’s Emerging Markets HQ from Singapore to Dubai. **Ashok's last day at Stanley Black & Decker is 31st July 2017. Ashutosh leads Diagnostic Cardiology, which is a global business in GE Healthcare. The Diagnostic Cardiology business offers a broad range of solutions that use the Electrocardiograph (ECG) of the heart to detect and diagnose various abnormalities of the heart. Early diagnosis and detection of heart problems can help save lives. He leads a global team that listens to customers, designs, manufactures and sells products and solutions for resting, stress and ambulatory ECG throughout the world. Prior to this role, Ashutosh led a marketing team and also a region within GE Healthcare. Before GE Healthcare he worked across consumer durables, IT and healthcare and built successful sales channels and businesses across industries. Ashutosh has a degree in Electronics Engineering from the Engineering College at Aligarh Muslim University and a Master’s degree in Management from the Indian Institute of Management, Kolkata. He loves to spend his free time with his family and indulging in his passions – running, music, and travel. Currently based in Mumbai, has over 25 years of experience in the field of Information Technology. He has worked with companies like DHL Worldwide Express, Birla Sunlife, CLSA and Angel Broking in different roles leading large teams spread across different geographies through vision, strategy, innovation and execution excellence. A strong technology leader, with expertise across the technology eco-system, he has contributed in building and managing big data centres, disaster recovery sites with global load balancing and is well versed in the latest trends in IT infrastructure. Atul has built some of the world’s most scalable, performing and reliable platforms and systems. He has keen interest in information security, IS audit and process improvement. He is a bachelor of technology in aeronautics with several professional certifications to his credit. 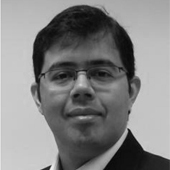 Atul works with Angel Broking as Head of IT and is also mentoring a few start-ups. Based in Mumbai, A.G. Rao is the Group Managing Director of ManpowerGroup India, a world leader in innovative workforce solutions. He has spearheaded significant business growth ManpowerGroup in the last couple of years in India, and is passionate about creating a valuable and happy workforce of tomorrow. 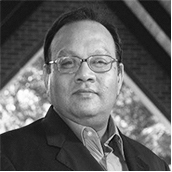 Prior to joining ManpowerGroup, A.G. Rao was CTO and Executive President - Enterprise Business at Tata Teleservices, India. In his role at Tata Teleservices, he was responsible for the Enterprise Business Unit and all technology related functions. In his career spanning 24 years, he has had several noteworthy achievements to his credit, which include leading one of the highest growth businesses in the telecom industry, creating one of India's finest Enterprise Business teams alongside a profitable business model, and producing one of the world's most cost effective telecom networks and best-in-class IT functions. He has extensive experience in the areas of Sales, Marketing, Customer Service Delivery, Project Management, Commercials and Contracts Management, Telecom Technology Management and IT, Business Turnarounds, and People Management. He has travelled widely and was also the CTO & CIO at Bakrie Telecom, Indonesia. A.G. Rao holds a bachelor's degree in Electronics Engineering from Bangalore University, India. Currently based in Bangalore, has over 30 years of diverse and successful work experience. George graduated from Nagpur University with a B.Tech in Chemical Engineering in 1980, and a PGDBM from XLRI Jamshedpur in 1982. He has worked in Grindwell Norton (Marketing Officer), in Madura Coats Threads (several Sales, Branch, Distribution, Product, Export, General Management roles), in Madura Garments (President), in Sify Ltd (President and COO), in Yahoo! India (Managing Director), in 7Strata (co-founder and CEO) and, after the sale of 7Strata to Mindtree, as Chief Strategy Officer, Mindtree. He has also been involved with turning around CricInfo and is an Independent Director on the Board of Matrimony.com. 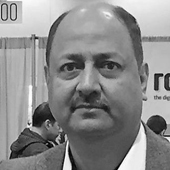 Kalyan Mohan has more than 30 years (1986 – 2017) of experience in the IT industry. Mohan started his career with Tata Consultancy Services. AOer 11 successful years with TCS, he then moved to Cognizant where he was part of an executive management team which grew Cognizant to one of the top IT ﬁrms in the world. Mohan spent 20 years with Cognizant. In the early years, Mohan was instrumental in formulating a go to market strategy and oﬀering around Application Maintenance. This was instrumental in converting all the customers acquired via the Y2K migration into long-term customers for Cognizant which has formed the basis for the industry leading growth that Cognizant has enjoyed since then. In 2000, Mohan moved to Bangalore to build a delivery center. With a strong focus on emerging technologies, Bangalore represents the second largest delivery center for Cognizant. Mohan spent 20 years with Cognizant. Mohan joined Cognizant to help steer Cognizant’s growth from a captive offshore delivery center to a full service third party service provider. He was involved in creating market offerings (Application Maintenance, eBusiness, Y2K, etc.) that spurred the rapid acquisition of customers during this period. In 2000, Mohan moved to Bangalore to build a delivery center. With a strong focus on emerging technologies, Bangalore represented the second largest delivery center for Cognizant in 2017. In 2011, when Cognizant evolved its three-horizon strategy Mohan was one of the senior leaders hand-picked by the CEO to be an integral part of the transformation journey. His proven track record of success, ability to spot newer opportunies, incubate them and commercialize them made Mohan a natural choice for the newly formed Emerging Business Accelerator (EBA) unit. As part of this role, Mohan created the Digital Business offering - covering the gamut of Social, Mobile & Data Analytics. Today Cognizant’s digital business is built on this backbone. Prior Companies: McKinsey & Co. Currently based in Mumbai/Noida, is a serial entrepreneur and an angel investor. Kapil juggles ventures at the cusp of biology and information technology. He started his career with a short stint at McKinsey & Co. before co-founding KritiKal Solutions (an IIT Delhi incubated company) as one of the partners. Founded in 2005, KritiKal SecureScan (KSS) works on computer vision based security, surveillance and traffic enforcement products. KSS received the NASSCOM Emerge Award in 2014. In 2011, he co-founded a fabless MEMS company, Nanosniff Technologies, along with two senior faculty at IIT Bombay. Nanosniff has done extensive work on nanoelectronic sensor based products for gaseous sensing and Bio-MEMS devices. Kapil is a member of the National Innovation Council on Nanoelectronics formed by the Department of Electronics and Information Technology (Government of India). He also runs a not-for-profit enterprise, Peopleyo Training and Research Institute, focused on skill development for rural women and vocational education for underprivileged children. 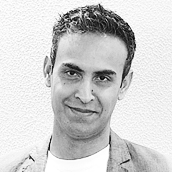 He is an avid technology reader and an angel investor primarily in technology product startups in India and Israel. Kapil has been featured in technology and entrepreneurship television programs including CNBC "Young Turks Innovators" and Times Now "Power of Shunya". Kapil holds a bachelor's degree in Pharmaceutical Sciences from Delhi University and an MBA in Technology Management from IIT Delhi. A leading authority in the global IT sector, Krishnakumar Natarajan co-founded Mindtree in 1999 and has played key roles in building the company’s innovative approach to delivering IT services and solutions to global 2000 enterprises. 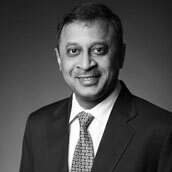 Krishnakumar was instrumental in setting up Mindtree’s U.S. operations, driving expansion in Europe and Asia Pacific regions, and transforming Mindtree’s IT services business. Today, his mission as Executive Chairman is to focus on leadership development and ensure a high quality of governance. He also actively mentors different business groups within the company and works closely with the start-up ecosystem to bring in innovative models of business transformation for clients. In his prior role as CEO and Managing Director, Krishnakumar was responsible for making Mindtree a global IT player. Krishnakumar’s efforts as a business leader have been recognized worldwide, winning him several laurels. He was ranked amongst the most valuable CEOs in India by Business world & Forbes in 2016. He won Bloomberg UTV’s award as the CEO of the Year in 2010, Business Today CEO of the year award in 2014 and was recognized by Chief Executive Magazine’s as one of the twelve global leaders of tomorrow. EY honored him with Entrepreneur of the year 2015 in Services. A 35-year IT industry veteran, Natarajan held several key positions at Wipro before co-founding Mindtree. During this time, he launched and grew the ecommerce division of Wipro, served as Group Vice President of human resources, and was Chief Marketing Officer for Wipro’s IT business. In 2013, Natarajan served as Chairman of the National Association of Software and Services Companies (NASSCOM), where he worked to strengthen the Indian IT industry to be a globally competitive ecosystem comprised of both established and emerging companies. Krishnakumar is an active member of the Confederation of Indian Industry (CII). He is also a regular speaker at international IT industry conferences and a faculty member at management schools around the world. He has a bachelor’s degree in mechanical engineering from the College of Engineering, Chennai, India, and a master’s degree in Business Administration from the Xavier Institute, Jamshedpur, India. 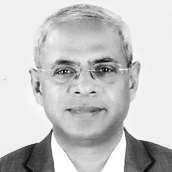 Currently based in Bangalore, Madhav's professional background spans two decades in financial services - across activities involving strategy and operations, client management and business development - in particular within the Institutional Banking and Investment Management businesses in Asia, UK and Europe. He is also involved with the operational establishment of a ‘greenfield’ privately held Investment Office with investment and philanthropic interests, which he continues to advise. 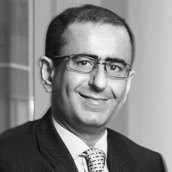 He is a director in Fiddelis, a GCC and Africa-focused market-entry and advisory firm, and is also a speaker and training specialist to a number of global banks, financial ratings groups, sovereign wealth funds and investment offices in the Middle East, Asia and Europe. The interplay of finance, technology and psychology are his areas of particular interest. Over the years, he has been variously involved as an investor and advisor to start-ups in the financial analytics, gaming and social travel sector, and continues to build upon these interests as well as his other – most notably, musical - pursuits. Madhav received his MBA from INSEAD (France) and his MMS from Jamnalal Bajaj Institute (India). 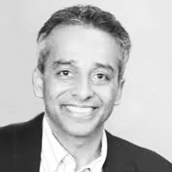 Mahesh Uberoi, currently based in the US, is the President and CEO of My Personal Health Record Express (MphRx), a healthcare IT firm he founded in 2008. He brings over 25 years of experience in the areas of business management, international marketing, product marketing and sales, having worked for Fortune 100 and startup companies. Mahesh was the founder and CEO of Uii Corp., a software development and consultancy company based in Princeton, NJ with an offshore software center in Mumbai, India and branch offices across the US, the United Kingdom, Singapore and Dubai. Uii was one of the first offshore software companies in the US having serviced several Fortune 500 companies and the US Federal/State/Local government agencies. Uii was sold in 2001 to Cognicase (NASDAQ:COGI). Mahesh then launched Webify Solutions, a sister company of Webify Services in 2003 to develop a software product/solution to ease the communication between insurance companies, employers and healthcare providers, which was then acquired by IBM in 2006. Mahesh is a graduate of the Indian Institute of Technology (IIT), Madras, India, and holds a Masters degree in Operations Research from Syracuse University, NY. 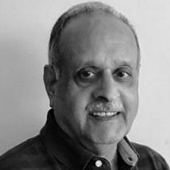 Manohar Rajan is an executive coach, and senior management consultant with over 30 years of financial technology experience, 25 years of which were with Wall Street investment banks. Manohar has a diverse professional history, with a mixture of senior corporate leadership roles, as an entrepreneur, a management consultant and in people management. The locations are also diverse with the first 25 years the U.S. and Europe and the last 10 in South Asia. The passion for people development started soon after returning to India and recognizing the need and desire of young aspiring leaders for guidance and mentoring, decided that this was now his life’s purpose. He started his career in in financial services as a systems programmer, and grew into senior leadership roles in Lehman Brothers, Merrill Lynch and Swiss Banking Corporation. In 2000, he started a technology consulting firm specializing in data analytics and predictive modeling, which was acquired in 2003 by a large IT services company. He was also Country Manager, India - Technology for Lehman Brothers, helping them set up their own technology subsidiary in India and later managing Operations Technology for Lehman Brothers, APAC. Manohar is active in the Pan IIT alumni community where he anchors a Financial Technology Round Table which aims to create an environment where academia, industry, start-ups can come together and share ideas and work on understanding and using latest technologies in the industry. He is certified from the Coaching Foundation of India and in addition brings a toolbox of techniques that are customized for each situation. He is an IIT & XLRI graduate who has lived and worked in New York for the first 25 years of his career and later moved to Chennai India. Experience: Extensive experience in understanding and running technology business’s for over 30 years. Has worked with IT and Telecom companies like Motorola, IBM, CSC and Digital Equipment. Worked with a software product start up Linguanext Technologies. Currently based in Gurgaon. His experience is in seeding businesses, building teams and growing markets especially in the B2B area. He was instrumental in the entry of Motorola into the telecom market in India where he first worked on setting up the paging business and subsequently revitalized and established the cellular business. He has a very diverse experience in the IT and IT services industry across hardware, software products and services – both infrastructure and BPO. He has attended several leadership development programs including the prestigious Global Institute for Leadership Development (GILD) at Palms Springs, California and the GOLD program at Motorola. He was recognised as a Distinguished Alumnus by National Institute of Technology Trichy for Excellence in Corporate /Industry. He is a founder member of the Indian Cellular Association (ICA) an industry body that is behind the spectacular growth of the handset industry in India. Narendra holds an engineering degree from NIT Trichy and an MBA from IIM Bangalore. Based in Kolkata, Dr. Narendra Shyamsukha is a serial entrepreneur, visionary, mentor and investor, whose focus has been education and skill development. 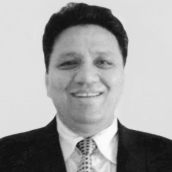 He has more than 24 years of experience in the education industry spread across India. 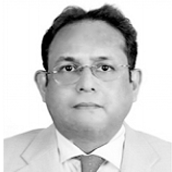 He is the founder and chairman of ICA Edu Skills, which is into providing training in accounts, banking, finance, taxation and computer applications leading to a guaranteed job. ICA Edu Skills trains close to 40,000 students every year through their paid and government sponsored programs contributing to the mission of "skilling India". He also founded EduLift, which manages a network of associates which in turn connects Edtech products to schools, colleges, tutorials, institutions and universities across India. He also runs incubation centers focusing on EdTech products. He is a Co-Founder of STEM world school - a chain of world class K12 schools which implements experiential learning and practical training methodologies. He is an active member in many forums that promote entrepreneurship and also extremely passionate about mentoring young Indians through scalable and sustainable business models. He is a member of the Institute of Chartered Accountants of India. 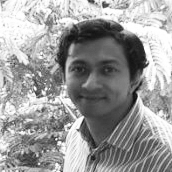 Currently based in Mumbai, is the Founder & Managing Director of Imarticus Learning. His fifteen-year career spans a smorgasbord of roles within Investment Banking, all of which culminated in the founding of Imarticus Learning, a leading player in Investment Banking & Data Analytics education. He began his career in the Corporate Finance division of the erstwhile Lehman Brothers at New York, following which he moved to Mumbai to set up Lehman's India operations. He has successfully managed large Operations, Technology, and Consulting teams during his tenure. In his last assignment with Nomura, he was responsible for Strategy and Change Management across IB, Capital Markets and Support services. He holds a joint Executive MBA from Columbia University and London Business School. Dr. Nirupa Bareja has had a brilliant academic career along with rich corporate experience. A PhD in Biological sciences, she received a CSIR (Council of Scientific and Industrial Research) fellowship for her doctoral work. She was the batch topper in Marine Biology in the MSc. programme at Bangalore University. She was also offered the prestigious ‘Rhode Scholarship’ from the University of Oxford, UK, given to young women scientists for post doctoral research in the field of Biology. She worked for the Biocon group for over 15 years, during which she helped introduce and build systems in multiple divisions of the company. She was instrumental in working with a team to get a number of Quality system accreditations for the company - ISO, FDA, CAP, Kosher, to name a few. Her unique skills lie in seamlessly transitioning multiple roles in her professional life. After successfully leading the Quality and Manufacturing functions, she introduced HR systems and processes for the company. In recognition of her significant contribution across several areas, she has been conferred several prestigious awards. Another dimension to her persona, is her passion to serve the community from a social angle. When at Biocon, she has been responsible for education, healthcare and child welfare programs for village school children. She has also led missions in the field of Biotech and HR systems and practices. She has also contributed as a speaker at various technical conferences, institutes of management. As a scientist, she has publications in noted national and international journals. A unique amalgamation of technology and management, Dr. Nirupa Bareja after her tenure at Biocon, has decided to contribute to the community in an individual capacity. She also enjoys guiding students by way of career counselling, facilitating internships etc. Presently, she heads the Indian operations for Vicus Therapeutics, a US headquartered biotechnology and therapeutics company. She is also a Chief Advisor at the Mazumdar Shaw Medical Foundation, Bangalore and is on the scientific & technical advisory board of two innovative start-up companies - SigTuple & Aten Porous. 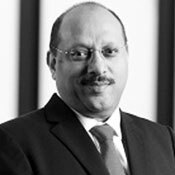 Nitin brings over 34 years of experience of which 26 years have been spent working in the financial services industry. He has been instrumental in the introduction of several ‘firsts’ in the Indian retail banking industry, including ‘365 extended banking’ & ‘doorstep banking’. Nitin was an integral part of the core team leading transformation at RBL Bank and responsible for expanding the bank’s footprint across the country. Nitin in his role with the bank oversaw Business Banking, Retail Branch Banking, Retail Assets and Liabilities including Credit Cards and HNI businesses as well as the Marketing function of the Bank. Nitin’s career began with a stint at Unilever Group, followed by a 9-year period working with Bank of America NT & SA which saw him don various hats for the bank. Post the regional sale of Bank of America’s retail business to ABN AMRO Bank, he went on to head the consumer banking business at ABN AMRO Bank from July 1999 to May 2006. Post his stint with ABN AMRO Bank, Nitin joined Bharti AXA Life Insurance, a private life joint venture between Bharti Enterprises and AXA as CEO. He steered BAL through a rapid phase of growth (CAGR of over 100%) at a time when the industry was seeing a period of sluggish growth. Nitin holds an engineering degree from IIT, Kanpur and is a PGDM from IIM, Ahmedabad. Nitin retired from RBL Bank in 2015 and now pursues personal interests including getting associated with the education sector. He serves as an advisor as well as in independent Director on a few Boards. 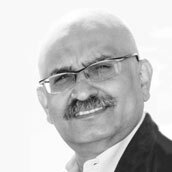 Pankaj Vaish is currently based in Bangalore, and has over 31 years of experience in consulting, professional services and B2B sales. He started his career in 1985 with Accenture and was with the company for over 28 years. He was part of the founding team for Accenture’s India operations. He has wide ranging experience across professional services, including consulting, technology, BPO, outsourcing, offshoring, P&L management, large / complex deals, M&A etc. He has built businesses from scratch and scaled them to global proportions. When he left as MD of Accenture, he was a member of the global leadership team of the Communications, Media and Technology (CMT) business, where he held various roles, including Asia Pacific MD and Global MD of CMT Management Consulting. Previously he was MD of Accenture’s Delivery Center Network for BPO, before which he founded Accenture’s BPO operations in India. His contributions to Accenture's HR function and the BPO industry in India earned him the prestigious "CEO with HR Orientation" Award by ACCOR Services. Pankaj was center stage in the transformation of Accenture India into a global powerhouse, starting as a founding member of its India consulting practice in 1987-88. He also contributed to the Accenture strategic agenda such as Horizon 2012, Human Capital Strategy and Leadership Careers Framework. Pankaj was an Independent Director on the board of Lakshmi Vilas Bank (LVB) for 3 years until July 2017. LVB is a rapidly growing, publicly listed private bank in India. During his tenure at LVB, he was a member of many key Board Committees, including the Audit, Management, HR and IT Strategy Committees. He was closely involved with its transformation, of which technology is a key focus. LVB is now ranked amongst the 500 best companies in India and is included in the MSCI India Small Cap Fund. Pankaj is active in India's startup ecosystem. He is advising 3 startups – a company with an automation suite for Employee Cooperative Credit Societies (ECCS) and Primary Agricultural Cooperative Societies (PACS), an on-demand micro information services provider to companies and a social media platform that enables brands to directly connect with consumers. He is a member of Keiretsu, a global angel investor network, and of IvyCamp, India’s first Unified Innovation and Entrepreneurship Platform, leveraging the global alumni network of leading educational institutions in India. 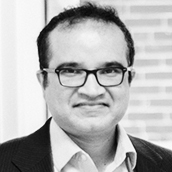 Pankaj has an MBA from Carlson School of Management, University of Minnesota, Minneapolis, USA and a B. Tech. in Mechanical Engineering from IIT-BHU (Indian Institute of Technology, Banaras Hindu University). He was a Gold Medalist at IIT-BHU, and he has been awarded the Distinguished Alumni award by IIT-BHU. Based in Mumbai, is currently the CEO of International Business for Pidilite Industries Ltd ("PIL") since April 2014. Prior to this role, he was the CEO for the Fevicol Division, the largest division of PIL. He also worked with Goodyear India as its Chairman & Managing Director. He has great exposure to the emerging markets of Asia, having spent over 15 years with ICI Plc in different roles including the Managing director for ICI Paints Thailand & Singapore and General Manager for ICI Paints Indonesia. His key areas of strength include general management, strategy and planning. His international experience also includes 5 years spent in Europe as General Manager for strategy and planning for the European decorative paints business and also as Vice President Procurement for the specialty chemical business of ICI Plc. Prabhakar Jain is a postgraduate in Marketing from XLRI Jamshedpur. Currently based in Mumbai, Pramod has around 25 years of rich experience in the field of Technology & Financial Services. He has worked in Consumer Banking, Investments, Retail and SME Lending, and Life Insurance. He has helped to provide the crucial technology edge to enable companies to differentiate themselves positively in the marketplace. He has held several senior leadership positions in the IT and Financial Services Industry, and has been an entrepreneur himself running a software company early in his career. Pramod has been recognized through multiple awards and accolades, including the pan-Asia Celent IT Leadership Award. Pramod is now an industry consultant, part-time academic and exploring business options in the sports technology area. He has done his B-Tech from IIT Chennai and received his MBA from IIM Kolkata. Currently based in Mumbai, is an MBA from IIM Calcutta (1999) and a BE (Chemical) from Punjab University (1997). 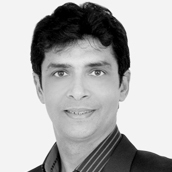 He has 16 years of experience across Digital, Media & Entertainment, and FMCG sectors. For the last 8.5 years he has been with ENIL (Radio Mirchi) and has handled marketing, led the traditional media business, and currently leads the digital media business. Prior to this he has worked with Coca-Cola and Asian Paints handling diverse roles across sales, distribution, marketing, business strategy, new market entry strategies and international business expansion. He is a technology enthusiast, an amateur photographer, an avid blogger (www.rahulbalyan.com) and a runner. Currently based in Delhi, is a marketer who switched gears from a corporate to an entrepreneurial role. He worked for 25 years with Unilever, Nestle, a garment firm and Motorola in varied national, regional, and global marketing as well as business management roles, before starting his own venture - Running and Living Infotainment. His company is focused on being a 360 degree marketing platform (online/ offline/ relationship builds / social media and community connects) for companies and brands. They have organised 20 runs across 10 States of the Country, with the content on running reaching more than 3 million households regularly. Building communities, and fueling passion in peoples' lives is what he is believes in. Recently, he published a book titled - Running and Living. He holds an MBA from IIM Ahmedabad. In his spare time, Rahul plays the guitar, goes skiing and trekking, and long distance running, having run 51 marathons in different parts of the world. Experience: Diverse experience in Consumer/Durables/Telecom, with 15 years of experience in the Telecom industry. Worked in StartUps in Hutchison Telecom on three different occasions. Prior Companies: Hutchison 3 Indonesia, Mahindra Holidays and Resorts India Ltd., Telecom Business Group of Essar, PT Hutchison CP Telecommunications, Hutchison CAT Wireless Multimedia, Hutchison Essar Ltd., Blow Plast India Ltd. 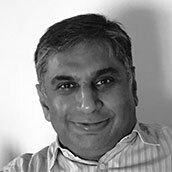 Currently based in Bangalore, Mr. Sawhney brings with him a wealth of experience having worked in India, Thailand and Indonesia primarily in the telecom industry. His last stint was as President Director of Hutchison 3 Indonesia, in Jakarta. He has also been the Chief Executive Officer of the Telecom Business Group of Essar, prior to which he served as Co-Chief Executive Officer of Hutchison CAT Wireless Multimedia Ltd. in Thailand, a subsidiary of CAT Telecom Public Company Limited. Mr. Sawhney’s association with Hutchison and Essar goes back to 1999 when he joined Hutchison Telecommunications International Ltd. and served as Executive Director of Hutchison Essar Ltd. (now Vodafone Essar). In addition to his experience in the telecom industry, Mr. Sawhney has been Managing Director and Chief Executive Officer at Mahindra Holidays and Resorts India Ltd. and served as a Member of the Group Executive Board at Mahindra & Mahindra Ltd. He has also spent 9 years with Blow Plast India Ltd.
Mr. Sawhney holds a Bachelor of Arts (Economics) degree from Punjab University and an MBA from the Indian Institute of Management, Bangalore. 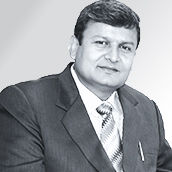 Dr. Rakesh Sinha is based in Mumbai and is a laparoscopic and robotic surgeon. He is the founder of Womens Hospital. His endoscopy career spans over two decades. In the recent past, he's been President of Indian Association of Gynecological Endoscopists (IAGE) and was a board member of the International society of gynaecological endoscopists. He earned his Masters in Gynaecology from the Bombay University, and a diploma in gynecological endoscopy from the Christian Albrechts University of Kiel, Germany. Later he was awarded the Post Doctorate Clinical Fellowship in Endoscopy at the Royal Free Hospital in London. He holds two Guinness World Records for having removed the largest fibroid and heaviest uterus, laparoscopically. He is a pioneer in 3 dimensional training in laparoscopy, and has trained over 600 gynaecological endoscopic surgeons globally. He has conducted several workshops, training programmes and is a highly sought after speaker at professional events and seminars globally. He has innumerable scientific publications to his credit in international index journals and has contributed several chapters in many books. He is a motivational speaker and a mind management expert. His background in medicine has helped him give a new dimension to the science of success. He is the only Indian featured in the Success Profiles by Jack Canfield (co-creator of Chicken Soup of the Souls series) and was interviewed on the Anatomy of Success. He is a licentiate practitioner for Neuro Linguistic Programming (NLP). He is a very popular speaker at corporate events, the Mumbai Police and educational institutions. He has wide ranging interests outside of his area of professional expertise. He's been a past president of the Rotary Club of Bombay, Bandra, is a Paul Harris Fellow and has been the District Chairman of Rotary International. He is a long distance runner, with 4 marathons to his credit. A successful business leader, Ravi had co-founded Noble House in his New Delhi garage which was acquired by Hewitt with Ravi at the helm of Hewitt Associates India as its co- founding Managing Director. After successfully stints as MD at Hewitt South Asia and CEO Aventus Consulting in Singapore, he returned to India as COO of Max Healthcare immediately before founding Credihealth. Ravi has a successful entrepreneurial track record and comes with a deep understanding of the healthcare market. Under his guidance and leadership, Credihealth has emerged as the market leader in the online hospitalization space. He won the award for Entrepreneur of the Year in 'Service Business – Healthcare' presented at the 5th edition of Entrepreneur India Awards. He was also the jury member at the 2016 DMA CMO Choice Awards and an invited speaker at IAMAI’s 10th India Digital Summit 2016. Ravi holds an MBA from XLRI, Jamshedpur. Based in Malaysia, Renzo Viegas, is the Adviser to the Group CEO at CIMB. 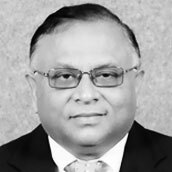 He has extensive experience in the banking industry and started his working career with Citibank in 1985 where he progressively held senior positions and headed various aspects of banking operations in India, Singapore, Malaysia and the United States of America over a 23-year period. Thereafter he held several leadership roles in RHB bank where he rose to the position of Deputy Managing Director before joining CIMB Group in April 2012 as Deputy Chief Executive Officer. Renzo was also CEO of Group Consumer Banking, CIMB Bank and an executive director for CIMB Bank before his current role. He also sits on the Boards of Sun Life Malaysia Assurance Berhad and Sun Life Malaysia Takaful Berhad. Renzo holds a Bachelor Degree in Commerce from University of Mumbai and is a Chartered Accountant and Fellow Member of ICAI. He is an alumni of Michigan State University where he completed the Advanced Management Programme in Strategic Marketing Planning. 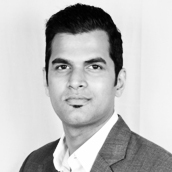 Sachin Haritash is the Founder of Mavyn. He is in-charge of expanding the organisation’s footprint in India by steering the conceptualization and execution of key strategies related to management and operational needs of the company. Sachin has been an active proponent in bringing significant expansion of Mavyn and is therefore responsible for planning strategic growth of the company. Assiduous in nature, he has worked his way through all levels in the parent company –Chetak Logistics, where he joined as an executive. His knowledge of transportation and logistics industry, coupled with his perseverance and innovative approach enabled him to set higher standards for Mavyn. With his multi-faceted skill set, Sachin strives to establish Mavyn as a complete digitized trucking platform providing a reliable and cost effective solution to transport goods in India. Before being Founder of Mavyn, Sachin was Director of Chetak Logistics and was responsible for establishing Chetak Logistics presence in the country, by setting benchmarks for Chetak Logistics and transportation industry. Sachin is a graduate in Bachelors of Commerce from Venketeshwara College, Delhi University, Delhi,India. Post which he did his masters in Business Administration from Narsee Monjee Institute of Management Studies. Outside of work, his interests include traveling, technology, global politics, & reading. 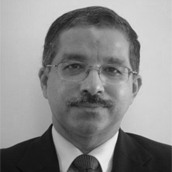 Sameer brings 30 years of experience in the consulting and corporate sector. He grew up in the UK , graduating from Manchester University in Management Science, going on to do his accountancy at Deloittes, before relocating to India in the mid 1990s. Sameer has spent time in industry, investment banking and consulting thereafter and based on his practical hands on knowledge of the Indian and Western culture now concentrates on cross border transactions assisting companies from inception to launch to set up ventures in India taking care of all legal, commercial, structuring, financial and identification of JV partner issues. He has in-depth working knowledge in domestic and International sports and gaming related sector and to this end has been part of the FICCI working group on “Legalization of Sports Betting within India”. Within industry Sameer has significant experience in the agricultural & plantation sectors. He has also advised a number of organisations on their internal systems and corporate structure. Sameer specialises in advising international clients on entry strategies and procedures into India as well as providing his significant negotiation skills for Indian companies tying up with partners abroad. Sameer’s skills lie particularly in financial and commercial planning and bringing together management styles of the West with Asia. Currently based in Bangkok, has over 30 years of global consumer goods experience in India, Europe, Asia and the Middle East. He started his career with Unilever, India and was responsible for a number of innovative, high profile marketing campaigns in the shampoo and toothpaste categories. He then moved to Coca‐Cola International and held various responsibilities including President of Coca-Cola for UK & Ireland, Nordics and Indonesia. More recently, he ran an Asia focused USD 5 billion consumer goods business for a leading Swiss public company. He is currently providing advisory services to select clients. Besides successfully leading large operations, Sanjay has during his career been deeply involved in incubating and nurturing new business initiatives. Sanjay is an Economics graduate from Delhi University and received his MBA from IIM, Ahmedabad. 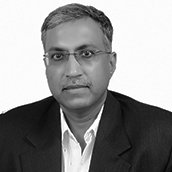 Currently based in Mumbai, Satyajit Karmakar has over 30 years of diverse work experience in the field of marketing. He supervised FMCG product launches and also handled the Unit Trust of India account, marketing mutual funds after which he decided to explore Direct Marketing and Experiential Marketing at Result McCann as their Mumbai head. He also had a short stint at another media agency before joining HDFC Bank as AVP, Marketing in the year 2000. During his tenure at HDFC, he has led some successful marketing campaigns, including analytics driven campaigns. He was also responsible for Marketing Communications with additional charge of Regional Marketing for over 2000 branches. He moved on to become Senior VP of Marketing Communications and Digital Marketing within HDFC Bank after which in 2015 he decided to start his own venture in the education technology space. He has done his post-graduation diploma in Mass Communications and also a diploma in Marketing. 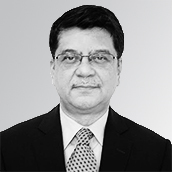 Based in Mumbai, Shankar Dey has over 40 years of experience in the Indian banking and finance industry. He began his career with the ICI Group of companies in India and subsequently moved into banking. After a long career with Citibank in India and overseas, he joined Peregrine Capital India in 1994 as a Deputy Managing Director where he was responsible for setting up and managing the corporate finance, advisory, mergers and acquisitions and capital markets businesses. After which, in early 1997, he was appointed Managing Director and CEO, both of which positions he held until mid-1998. Post this, he moved to N.M. Rothschild & Sons (India) to set up its India operations, where he was CEO for almost 3 years. Here his primary focus was on mergers and acquisitions and providing advisory services to leading international and local corporate and government departments/companies mainly in the telecommunications, power, oil and gas, transport and financial services sectors. From 2001 to 2004, he was a consultant providing independent services which involved fund raising, corporate valuation, restructuring and mergers and acquisitions. Early 2004, he was appointed CFO with Tata Sky Limited, where he was involved in the setting up & structuring of a joint venture between the Tata Group of India and Newscorp for direct-to-home television in India. Subsequently, he worked for Essar, a leading diversified Indian business group, in the area of business development for a year. In Nov 2006, he joined EFG International as CEO in India and was responsible for setting up their India operations. He left EFG in Mar 2012 and is now an independent financial consultant. He received his MBA from IIM Kolkata. 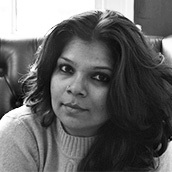 Shashaank is India Advisor to Gray Ghost Ventures (www.grayghostventures.com) which is a pioneer in impact investing. Gray Ghost Ventures (GGV) makes early stage investments in businesses and its portfolio companies seek to improve the lives of underserved people around world through sustainable business models. GGV makes investments as the first institutional investors in innovative start-ups and has investments in India, Bangladesh and sub-Saharan Africa. As India Advisor, Shashaank works on pipeline development, pre investment support including due diligence and post investment support to investee companies. Shashaank has been member of board of directors of impact businesses in sectors like education, remote data capture financial inclusion et al. Shashaank has prior experience with start-ups and in financial services. He was member of the start-up team that built ABN Amro Bank’s Commercial Banking Business in India for and was Head of the Commercial Bank for North & East and South India before. He also worked with IDBI Bank and Tata Group prior to ABN Amro Bank. Shashaank is also co-founder of v-shesh (www.v-shesh.com) which is an award winning impact enterprise he co-founded with P Rajasekharan (Raja). Listed on the Global Diversity List (supported by The Economist) and empanelled with Accessible India Campaign, v-shesh assists People with Disabilities in education, training and jobs and organisations with disability inclusion. v-shesh is a United Way Chennai Champion and its work has been recognized with Shell-NCPEDP Helen Keller Award as well as an award for work in financial inclusion of People with Disabilities from low income communities. Shashaank holds an MBA from the Narsee Monjee Institute of Management Studies. Currently based in Paris, is a highly effective global commercial operations leader with 15 years of experience in leading commercial activities for healthcare products. He is currently Global Corporate Director in a Leading Pharmaceutical and Biotech Enterprise, leading the corporate strategies for Patient Centricity deployments across its operations from R&D to Commercial Operations with special focus on the future launches and the internal culture. He has deep business insights in the pharmaceutical industry from local to global levels with a successful record of increasing revenue and bottom line, launching global brands, as well as managing teams and P&L. His areas of expertise include general management, global commercial operations, strategic marketing and leadership & organizational management. He has a bachelor's degree in Pharmaceutical Sciences and also an MBA from Strathclyde University, UK. He has a High Potential Leadership (HPLP) and General Management Program (GMP) degree from Harvard Business School. Prior Companies: Nestle India, Diageo India, Boyden Consulting India, Positive Moves Consulting, Hong Kong. Currently based in Hong Kong, is an experienced Human Resources Executive. She is currently an independent consultant. She has around 23 years of experience across various areas of HR expertise including Recruitment, Training, Compensation and Benefits, Organization Structuring and Talent Management. She has held senior positions in companies like Nestle India, Diageo India, Boyden Consulting India and Positive Moves Consulting, Hong Kong. Shreya graduated from University of Delhi in 1990 with an Honours Degree in Psychology and has a Post Graduate Diploma from XLRI Jamshedpur in Human Resources Management. Sonya Hooja is the Co-founder and Chief Operating Officer at Imarticus. She has 10+ years of work experience at Accenture (Management Consulting), Goldman Sachs and the erstwhile Lehman Brothers across United States, Singapore and India. She is responsible for strategy at inception and delivery as well as project management across various verticals across diverse industries such as financial services, education, public sector and pharmaceuticals. Sonya holds an MBA from INSEAD. Currently based in Mumbai, Sridhar is a financial services expert with over 30 years of experience gained internationally and in India. He was with Citigroup for 28 years and has worked in 6 countries across Asia, Africa and Europe. Some of the leadership positions he held with Citi included being CEO for three countries, Corporate Bank Head for India, Transaction Services Head for Africa and Bank Services Group Head for Central, Eastern Europe, Middle East and Africa. 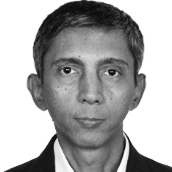 Sridhar brings deep emerging markets experience from around the globe. 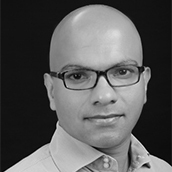 Sridhar is currently a Senior Advisor with Oliver Wyman, a leading global management consulting firm. 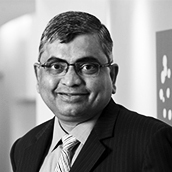 He joined Oliver Wyman in early 2013 as a Partner and India Head. He works with CEOs, Boards of Directors and other senior leaders of top Financial Services companies in the region on topics such as Management Strategy, Risk Management, Client Coverage models, Product and Distribution strategies, Cost Optimisation, Governance and Regulatory Compliance. Sridhar is a graduate of Delhi University and is also a Chartered Accountant. 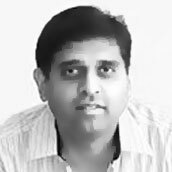 Based in Mumbai, Sumeet Srivastava has over 20 years of experience and is currently the Chief Executive Officer and partner of Spocto. He is an active investor and mentors several existing and future entrepreneurs. He is interested in investments that can have a societal benefit and where companies can deliver results with a focus on broader good. Sumeet is a business technologist, converting business problems into usable products via consistent engagement of customers. He firmly believes and has demonstrated that Digital Reach to the semi-urban and rural world could have profound societal benefits. In the age of scarce information, digital medium can have the most personalized and measurable impact. Prior to his entrepreneurial venture Spocto, Sumeet was the CIO-Asia for Monsanto Company, a sustainable agriculture company. During his stint, in 2013, he was featured in CIO 100, CIO Asia magazine’s gathering of CIOs. He has developed a strong understanding of the rural and semi-urban markets across developing countries. He has spent several years setting up digital businesses serving farmers and developing multi-channel retail solutions. Sumeet strongly supports the conservation of the environment and participated in United Way of America since 1999. He is also a certified Six Sigma Black Belt and has completed several leadership courses offered by renowned Universities. He has completed MDP in Rural Marketing from IIM, Ahmedabad and is a Master in Computer Science from Birla Institute of Technology. Currently based in Bangalore, is an Assistant Professor at IIM Bangalore. 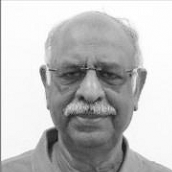 Dr. Suresh Bhagavatula is affiliated to the N S Raghavan Center for Entrepreneurial Learning (NSRCEL) at IIM Bangalore and is a member of its Advisory Committee and Screening Committee. In addition to a host of activities towards promoting entrepreneurship, NSRCEL also runs an incubator cell on campus for startup and early stage companies. 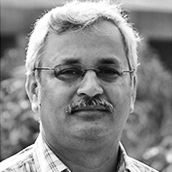 Dr. Suresh Bhagavatula's research interests are in two partly overlapping domains - entrepreneurship and social networks. In entrepreneurship, his interests are in both low and high technology firms in India. Within the social network domain, he is interested in understanding the influence of social capital on performance of entrepreneurs and teams. His research work has been published in Journal of Business Venturing (JBV), Entrepreneurship Theory and Practice (ETP), Strategic Entrepreneurship Journal (SEJ), and IIMB Management Review (IMR). In the past, he worked at TRDDC (Tata Research Design and Development Centre), within their mineral processing division, as a process engineer and in KVK (Krishi Vigyan Kendra) Visakhapatnam as a Microenterprise coordinator. He holds a Ph.D. from Vrije Universiteit, Amsterdam and an MS from University of Flensburg, Germany. Suresh Rangarajan K (SRK) has been a passionate & intense start-up professional. One of the early adopters to the internet world, SRK was part of the founding team of Citi-Times JV TimesofMoney.com. Under his enterprising leadership, remit2india went on to become World's No.1 Online Money Transfer portal & one of the most successful internet businesses. SRK founded Artha Money - an online broking platform & established Artha Group, as a leading real estate company. SRK was conferred with the prestigious Udyog Rattan award in recognition for his strategic & innovative thinking & success in incubating new age businesses. Prior Companies: Dr. Reddy’s Laboratories, Aurigene Discover Technologies, Sanmar Specialty Chemicals, Rheoscience, Merck and Co., Abbott. 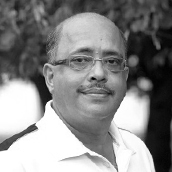 Dr. Swaminathan Subramaniam is a physician-scientist-corporate executive turned entrepreneur. He engages with companies on technology evaluation and development, business development, as well as customer facing issues such as branding, customer experience, and customer acquisition. His current interests span the healthcare and life science industries, particularly those businesses and services that have a consumer healthcare/wellness, tech enablement component. He completed his degrees in Medicine (M.B., B.S. Madras University) and Clinical Pharmacology (M.D. Postgraduate Institute of Medical Education and Research, Chandigarh) before moving to the University of Pennsylvania where he studied for a Ph.D. in Molecular Pharmacology. He then worked at the National Institute of Neurological Disorders and Stroke in Bethesda where he carried out electrophysiological studies of NMDA receptors in hippocampal slices in the context of epilepsy. Swami returned to India in 1995 to take up a position at Dr. Reddy’s Research Foundation as Head of Clinical Research and DMPK. He led the team that filed the first IND from Dr. Reddy’s for a new molecule. He subsequently moved through different roles including marketing and strategy during which he set up Dr. Reddy’s Contract Chemistry services business and then an independent subsidiary company – Aurigene Discovery Technologies. He then moved to Bangalore as the first MD and COO of Aurigene. He led the team responsible for the construction of a greenfield drug discovery facility occupying over 200000 sqft of space – as the first India based drug discovery services CRO. Subsequently, he has held leadership roles at Sanmar (Chief Executive – Research Businesses), Rheoscience A/S (Head – India operations and Business Development), Merck and Co., Inc. (Head, Licensing – India, and SE Asia) and Abbott Nutrition (Head – R&D, India). He has recently founded Nutrea a start-up nutrition company based in Bangalore, India. He has published and presented extensively in the areas of neuropharmacology, drug discovery, DMPK, entrepreneurship, and innovation strategy. He was awarded a research fellowship at the University of Pennsylvania and was a Chevening scholar of the British Foreign Commonwealth office at the London School of Economics in 1999. He has attended executive programs at Stanford, Indian School of Business and Indian Institute of Management. Based in Bangalore, Tej runs Jaaga Startup with a fantastic group of people. Jaaga Startup helps derisk early stages of building need-driven startups by sharing knowledge and infrastructure within a community of exceptional entrepreneurs. Previously, Tej ran two consulting startups, micrograce in Bangalore/Leicester and Aristos Labs in Belfast. In between the two, he led wireless/microwave product development at Pera Technology. Most recently, he failed at trying to build beyon:labs - a hardware product startup. During his relatively nascent career, he has worked with over 150 SMEs across the globe and helped build over 30 hardware products. He holds a PhD from Queen's University of Belfast, a Master's degree from IIT Kharagpur and a Bachelor's degree from Mumbai University. Umang is a transformation leader with over 20 years of business management, operations & technology, client delivery and sales experience in banking, across Asia Pacific. He is passionate about crafting and leading change driven by strategy, culture, digitization and automation, aimed at quantum leaps in bottom line, revenues, client delivery and risk mitigation. His cross functional experience provides him with a unique perspective on the end to end connectivity in banks. Umang’s enthusiasm and zest for startups comes from this same passion for change, particularly given the momentous changes being driven by FinTech. Given his vast experience and interests, today, Umang advises financial services organizations on transformation related to Operations & Technology, Transaction Services and Wealth Management in addition to being on the mentor panel for the accelerator, Startupbootcamp FinTech. 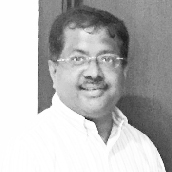 Mr. Venkat Raju currently serves as a Strategy Consultant for the ANSR-Kyron group. He is an active angel investor and serves as a mentor & advisor to several companies (and also as a Director in some). His current portfolio covers a wide spectrum - spanning Cloud Computing & SaaS, Big Data & Analytics, Mobility & Payments, E-Commerce, IoT, Social Media & related Consumer Internet. Mr. Raju is an accomplished entrepreneur & seasoned executive with strong business, technology and general management credentials. Most recently, he served as the India Country Head & Managing Director for ACI Worldwide Inc., a leading global payments solutions provider. He has held several roles including as - an Entrepreneur (CEO & Founder of startups backed by Kleiner Perkins, Benchmark Capital etc. in Silicon Valley); an IT Executive (Managing Director & VP positions at Merrill Lynch, Morgan Stanley and Deutsche Bank) in Wall St; a Product Executive (GM & SVP Products at VerticalNet in San Francisco), Chief Technologist (Chief Architect for British Telecom in London); a Management/Strategy Consultant (Principal of a boutique firm focused on Cloud Computing & Saas in New York); and a Product & Services Delivery Head for APAC. 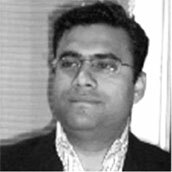 Mr. Raju has deep domain expertise in several verticals including Financial Services, Technology, and Telecom. He has lived and worked in three continents and has run global teams. He is an alum of Boston University (Management & Business) and Indian Institute of Science (Electrical & Electronics Engineering). As a past Fortune 500 Operational Executive, a Silicon Valley Technology Entrepreneur, an active Angel Investor in technology companies, a contributor to the startup ecosystem and advisor to Venture Capital firms & Accelerators, he has been on both sides of the fence and brings a lot to the table. Currently based in Singapore, has more than 24 years of experience in banking, including 17 years in ABN AMRO. His last role was the Regional Head of Multinational Client Relationships for Asia. He has spent more than 7 years with Visa and is currently the Head of Small Business Products for Asia Pacific for Visa. His expertise lies in guiding businesses in commercialization of their business ideas. He has spent significant time working with technology partners to create solutions to help businesses make payments or collect payments conveniently and with cost savings. He is a member of the Institute of Chartered Accountants of India. Currently based in Pune, founded Vinsys IT Services in 1999 as a one-stop training provider that caters to the growing demand of corporate training and workforce development. Under his dynamic leadership, the company has diversified into corporate training and consulting across the learning and development spectrum with a strong presence across technology training, IT service management, IT governance, project management training and consulting, foreign languages, and behavioural and management solutions. With his relentless efforts, a passionate and focused outlook towards customer satisfaction and employee growth, and an uncompromising commitment to quality and service, the company has established long term symbiotic associations with most of its customers, including Fortune 500 MNCs. 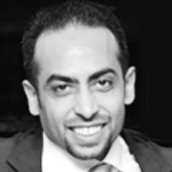 Prior to founding Vinsys, Vikrant was with Aptech, having started his career with a MNC in Dubai. He is an engineering graduate from Pune, India with a post-graduate Diploma in Business Administration from Melbourne, Australia. Based in Indonesia, Vishal has over eighteen years of experience as a financial expert and intrapreneur, having worked in several executive functions in large corporations within diverse multinational environments. In 2013, he founded the the FinTech Startup - Tunaiku (now part of Bank Amar) in the space of online lending based on predictive and big data analytics, where he is responsible for the conception of the idea and its execution. Vishal has spent more than a decade with the Tolaram Group where he has several achievements to his credit including turnaround of loss making manufacturing units into one of their most desirable assets (as CEO), successful handling of the liquidation of a bankrupt textile company without being declared bankrupt (as CFO), and creation of deep banking relationships throughout Estonia which enabled multiple fundraisings and restructurings. He specializes in spotting of business opportunities, execution of plans, business strategy development, financial & marketing planning, sales & operations management, and team building. Vishal is a member of the Institute of Chartered Accountants, Company Secretaries, and Costs and Works Accountants in India. He holds a master's degree from University of Liverpool, UK and has completed the Executive Management Program at Harvard Business School. Vivek is the CEO & MD of Urbana Health, a Singapore incorporated company which provides Business Advisory Services in Asia and India, focused on strategic and financial issues in the area of Healthcare. Urbana offers solutions for market entry, expansion and diversification, facilitating investments and raising capital. 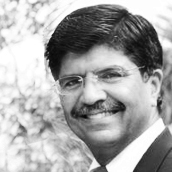 He has had a long and successful track record in several leadership roles - CFO, Managing Director & CEO of Max India Ltd., a multi business conglomerate; Head of Business Development at Parkway Health (now IHH Healthcare), Asia's largest healthcare group and Country Manager at Avenue Capital Group, a large Private Equity Fund in Asia. Vivek is a Business and Investment Manager with a record of success and achievement in developing, leading and investing in successful business ventures across several industry domains - Private Healthcare Services, Pharmaceuticals Manufacturing & Distribution, Contract & Clinical Research, IT Services, Business Process Outsourcing, Life Insurance and Telecommunications. He has worked and developed business in India, Asia (Malaysia, Vietnam, Indonesia, Thailand and Brunei) China, Middle East and the United States. Actively involved with Business/Industry Forums and Trade bodies, in India and Singapore, he has also been a Speaker at several forums and Panel Discussions on Healthcare. Currently, he works with leading healthcare players, strategic and private equity Investors and corporations in developing investment opportunities, project management and revenue enhancement. He also leads investments into early stage and exceptional business opportunities by partnering with reputed investors and healthcare operators. He holds a Master's Degree in Business Management (with a Specialization in Finance) and is a Fellow Member of The Institute of Management Accountants of India. He is also a qualified Company Secretary. Currently based in UAE, is the Vice President, Head of IT & Business Innovation at Emirates Islamic, reporting to the CEO. Prior to this role, he spent 2 decades at the heart of the finance technology industry, in several leadership roles. With a proven background in IT leadership and management, Zubair has been involved in development & execution of IT strategy encompassing implementations of new core systems, direct channels, infrastructure solutions and process institutionalization. In several organizations, he has architected cultural transformations, using corporate value frameworks. More recently, Zubair has successfully led transformations in several areas of Islamic Banking. He is the author of the book "Power To Kids" which serves as a guide in 'applying quality & management principles to parenting'. He is also actively involved with a number of non-profit causes across the region. As an ardent speaker / panelist, Zubair is regularly featured in numerous conferences around the world. Currently based in Chennai, Shekar has almost two decades of experience in renowned multinationals across diversified sectors – FMCG (Lornamead Group), Life Insurance (AMP), Audit & Assurance (KPMG) and Oil & Gas (ExxonMobil) sectors. 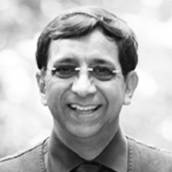 He is an active Angel Investor and serves as non-executive director in mid-size companies, both in India and abroad. 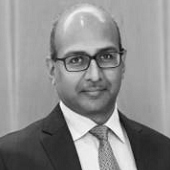 Shekar has a rich experience in the FMCG - M&A space, having lead / been part of over 11 Acquisitions and 4 Divestments, including 100% divestment of UK headquartered Lornamead Group to Hong Kong-based consumer goods group Li & Fung. He has handled many acquisitions as well as divestments, besides re-structuring and re-financing transactions in North America and Europe. In India, he was involved with divestment of Yardley brand to Wipro Consumer Care, and Tura Brand to Godrej Consumer Care. His deep knowledge and expertise in M&A lead him to establish his own Investment Banking and Advisory Firm – ANOVA Corporate Services Pvt. Ltd. As an advisor having an optimum mix of professionalism and rich experience, he also closely works with Start-ups, bringing in a fresh perspective to the business with his in-depth process knowledge and a focused, methodical approach. ANOVA’s recent M&A deals include OYO Rooms’ acquisition of Novascotia Boutique Homes (now OYO SilverKey), and Megadyne Group acquiring majority stake in Helicord. Shekar is a Chartered Accountant (ICAI), Cost Accountant (ICMAI) and a Company Secretary (ICSI) by qualification besides Senior Management Program from IIM-C. He is also a Fellow Member of Institute of Public Accountants, Australia (FIPA), Certified Management Accountant from The Institute of Certified Management Accountants, USA (CMA) and Member of the Chartered Institute for Securities & Investment, UK (MCSI). 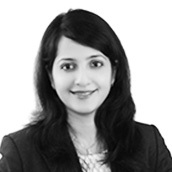 Currently based in Bangalore, Nitish has extensive experience advising clients on domestic & cross border M&A as well as equity fund raising transactions across sectors. Prior to Indium, Nitish held leadership roles in Allegro Capital, GE Capital & Genpact for over 15 years. He has cross-industry experience in Investment Banking (M&A & fund raising) across the entire deal life cycle from sourcing mandates, valuation, modelling, IM/Business plan, negotiations, transaction structuring and execution. Nitish is experienced in moderating and advising on M&A and capital raising strategies at Board/CXO level and has experience in leading and executing deals across sectors: Healthcare, consumer, industrial and technology sectors. Nitish is a Mechanical Engineer from IIT, BHU and holds an MBA from IIM Calcutta. Currently based in Mumbai, Suneel Aiyer has 24 years of cross-functional experience in Retail Banking, Cards, Managed Services, Payments Processing and the Cash Logistics industry with verifiable year after year success in achieving revenue, profit and business growth objectives. He has successfully built sustainable businesses and led large teams of diverse employees across India, Asia Pacific and the Middle East markets. His work experience spans leadership roles at Standard Chartered Bank, ANZ Grindlays Bank, American Express, Citibank, Euronet Worldwide and Writer Safeguard across Sales & Product Management, Operations, Debt Management & Risk Control, Technology and Finance. In addition to his current role as CEO, he has managed a multi-country operations function, been in a country service & product management role and in a country sales role. He has been Chief Executive Officer of Writer Safeguard (WSG) since June 2010. He was previously Director Operations - Asia Pacific at Euronet (Nasdaq EEFT). He was also on the Board of Euronet India. Between 2003-2007, Suneel was Vice President and business head for the Remote Banking (ATM and the Kiosk banking channel) at Citibank N.A. Prior to this, at American Express, he led the largest in-house sales team in the Asia region, responsible for selling premium card products to the affluent and emerging affluent in India. He has also built large Sales and Distribution (DSA) Netorks for Consumer Cards and Loan products at Amex and ANZ Grindlays. He was part of the start-up team at Standard Chartered Bank that launched Credit cards in India in 1993-94. Suneel is the founder of the Cash Logistics Association, India, an Executive Committee Member of FICCI - Maharashtra State Council, Executive Committee Member of FICCI - Private Security Industry (National Committee), Executive Committee Member & PE Series Co- Chair at the Wharton Alumni Association of India . He is a regular speaker at Industry forums in India and abroad. Suneel is an alumnus of The Wharton School, University of Pennsylvania where he attended the Advanced Management Program, has a Diploma in Information and Systems Management and a bachelor’s degree in accounting from the University of Kerala. Suneel is a fitness enthusiast, a timed half marathoner and an avid motorcyclist. 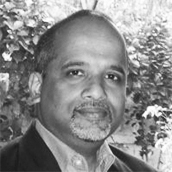 V. Niranjan is founder and CEO of RxMD (www.rxmd.com), a drug development consulting company. An internationally (India, Australia and USA) trained pediatrician, critical care physician and scientist (molecular biologist), he has been a highly sought after consultant to the biopharma sector in the US and EU for close to two decades. His expertise is in identifying gaps in drug development and crafting novel strategies to address them, thereby taking drugs from discovery through to commercialization. His critical inputs have been pivotal to the development and commercialization of drugs for several indications (e.g. hepatitis, influenza, HIV). He has served as due-diligence team leader for several US, EU companies, enabling them to identify and in-license assets and commercialize them. Lately, he has also been mentoring life science startups based in India. Prior to RxMD, Niranjan was Director, Pediatric Intensive Care and Assistant Professor, Department of Pediatrics at the University of Medicine and Dentistry in Newark, New Jersey, USA. Niranjan is US Board certified in Pediatrics and Critical Care. He has also received postdoctoral training in Molecular Biology (translational medicine) at the Howard Hughes Medical Institute at the University of Texas, Southwestern Medical Center in Dallas, Texas, USA, and fellowship training at the Royal Children’s Hospital, Melbourne, Australia. Niranjan graduated in Medicine from the University of Bombay, India. He lives in Chennai, India. 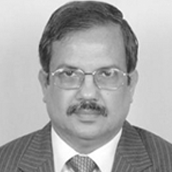 Currently based in Chennai, Murali is an experienced Investment banker with extensive business experience. Over the years he has developed an in-depth understanding in identifying value-accretive businesses both from a strategic and operational perspective. During the last 20+ years he has reviewed and evaluated businesses across a variety of industries ranging from automotive, hospitality, healthcare, real-estate, technology & ecommerce both from a risk and growth perspective and has raised capital (debt & equity) for growth stage companies across these industries. 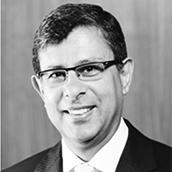 He has extensive negotiating experience with specialist Corporate Lawyers, Accountants and Institutional investors. He is also in the mentor list of India’s largest entrepreneurship network. Murali holds a Masters in Management with concentration in general management and finance from the Asian institute of Management, Philippines and a Bachelor of Commerce from Vivekananda College. He has also completed an executive program on the implications of Artificial Intelligence on Business Strategy from the Massachusetts Institute of Technology Sloan School Of Management. Based in Mumbai, Sudhir Nair is an experienced business leader with more than 24 years of experience across sectors such as SME, Energy, Infrastructure, Real Estate & Construction. His last role was with CRISIL as a Director, Institutional SME Ratings. His key skills include providing be-spoke information/data/research based solutions for strategic business growth or decision making. He is a strong communicator and leader with absolute integrity and high standards of business ethics. Experienced speaker at both national & international conferences/seminars. More than ten years of experience in successfully overseeing forays into emerging business ideas, projects and products. More than twelve years of experience in handling analytical teams of 15+ members and in active coaching / mentoring roles. Immense experience in assessing credit, management, governance and financial risks of corporate India, with special expertise in assessing the risks pertaining to the small & medium enterprises. Goal-oriented, profit driven, pragmatic and conscientious, a natural communicator with passion and enthusiasm in business transformation and change. He is a bachelor of commerce, post graduate diploma in systems management, cost & works accountant (Inter) and MBA in finance from IGNOU. Successfully led business development activities pertaining to research based consulting business & more than doubled that business over a short 2 year period. Established and guided research initiatives into emerging areas of research such as the SME Cluster studies and various new reports such as Renewable energy business in India, Paints sector, Fertiliser industry, City-specific Real Estate markets, Infrastructure businesses, Cement Industry in India. Was a key member of India’s first IPO grading and Independent Equity Research business. Fully responsible for the analytical frameworks, research processes and client communication activities for the division. Headed the team which prepared the ‘Urban India Construction Reports’ in collaboration with McGraw-Hill Construction.